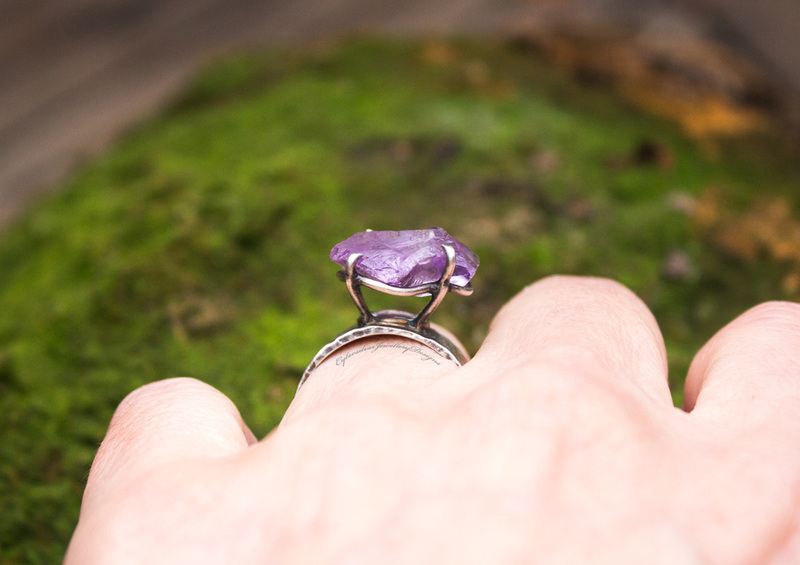 A stunning natural, uncut amethyst set in a unique wide silver ring. This gorgeous crystal has been left just how nature intended and I have created a unique setting to display it in all it's beauty. 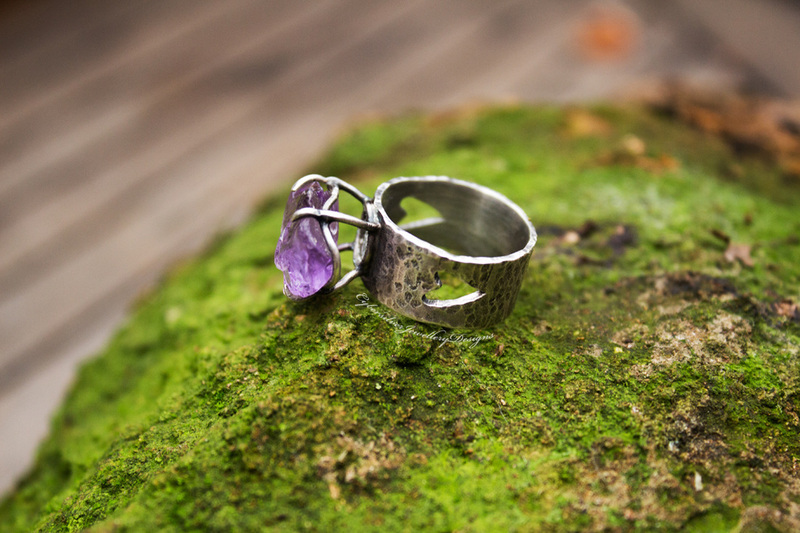 The ring is entirely handmade by me from sterling silver and has been given a rustic, textured surface. I have also pierced a heart on either side. The silver has been oxidised and brushed to highlight the texture. It is then given a layer of microcrystalline wax to help protect the oxidised surface. Oxidisation is a surface treatment which can lighten with wear.